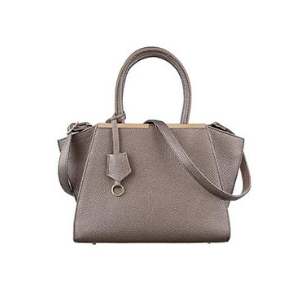 A handbag is the arm-candy a woman simply cannot do without - whether she’s from the 21st century or the 14th. 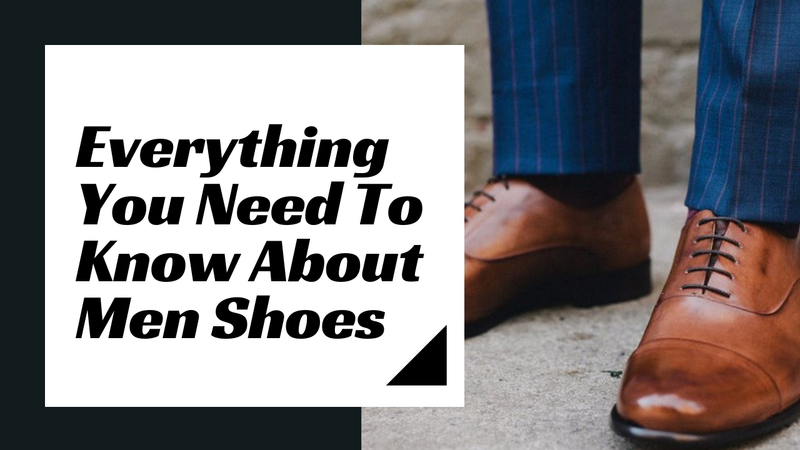 The accessory has been a part of our wardrobes for as long as the need for carrying items along has existed. In the medieval times, both men and women would carry bags around their waist. Then later, cloth bags were worn across the body in the 16th century. Another century forward, and bags started to appear in different shapes and sizes. It was the 18th century in which handbags started to be seen in the hands of ladies rather than being worn on their body. This was when handbags were called reticules. Only in the 1900s did the word handbag come into use. Since then, the intricacy with which bags are made and the styles have only gone uphill. The fad for designer handbags began when popular brands like Valentino, Yves Saint Laurent, and Givenchy came into the market. Today, the handbag industry is massive with 2018’s revenue in the segment equaling $11,691 million. And the numbers only expected to grow. With so many handbag brands and designs out there now, choosing one can be a challenge. Which is why, we’ve put together a guide to selecting the right handbag for you here. But wait, what’s the difference between a purse and a handbag? Several people, including Katie Arnold who is a fashion blogger and personal stylist at a departmental store, find themselves confused as to what the different between a purse and a handbag is. To answer this for you, essentially purse and handbag are interchangeable terms. However, the term purse refers to a smaller bag that can house fewer items whereas a handbag is more spacious. Moreover, purses are for both men and women, but handbags are considered female accessories. 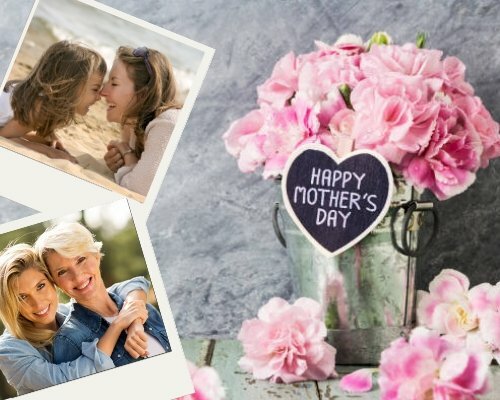 On her blog, Katie says that from what she has learned the only major difference between both the terms is that of time. She says that purse is an old-fashioned term, so it denotes a bag used by an old lady because she needs a pouch to hold her stuff. On the flip side, a handbag is a commonly used term today that indicates a bag that is carried by modern, fashionable women. Carried by both men and women, satchel bags are typically for office use. Such a bag is usually spacious and has clips to hold down a front flap. These are large bags with or without zippers. 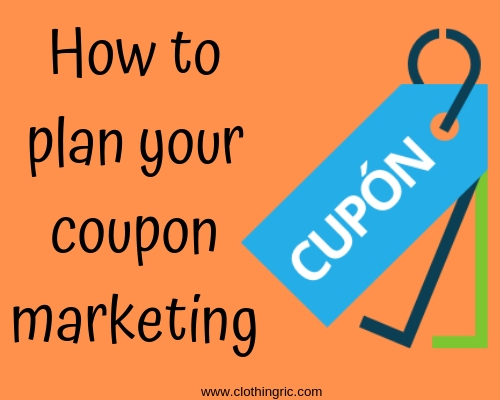 Tote bags are also known as shopper bags because of their generously accommodating interior. This type of a bag has short shoulder straps for carrying. It is slouchy and comes in a crescent-like shape. 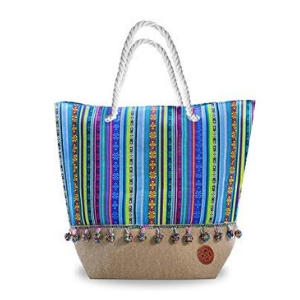 A bag that is made of canvas, has large straps and a zipper is a beach bag. 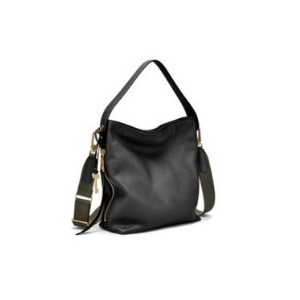 A medium-sized bag that can be carried either by the handles or a long strap is called a cross body bag. A barrel bag is shaped like a barrel and has a zipper leading to its internal space. Some designs come with a detachable long strap along with the handles as well. 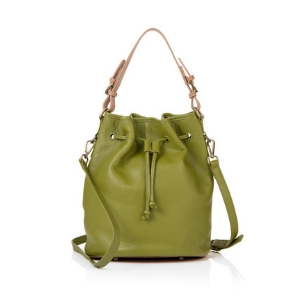 A bucket bag is closed by a drawstring. While its top half is slouchy, its bottom half has more structure to it. A saddle bag is closed via metallic closure. It comes sans handles and has a long strap instead. 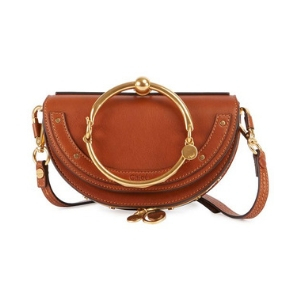 Such a bag is also medium-sized, and its shape resembles a horse’s saddle. 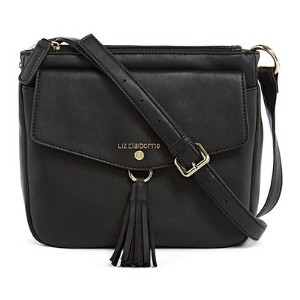 A frame bag is trapezoid or rectangular in shape with the top half featuring a metal frame and kiss-lock closure. It has two short handles for carrying. Handbags differ based on the material they are made using as well. Commonly used materials include leather, faux leather, suede, cotton, linen, vinyl, rubber, straw, nylon, and faux fur. A day clutch is a made of a soft material. It looks like a pouch and can have a few pockets on the inside. A cross body bag and a cross body purse are sometimes used to describe the same thing. 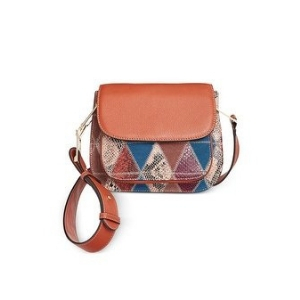 However, a cross body purse is smaller and doesn’t have handles, just a long strap. This type of a purse is carried to parties and is made of metal. Velvet, silk or another fabric may be used on the metal to make the overall look more eye-catchy. 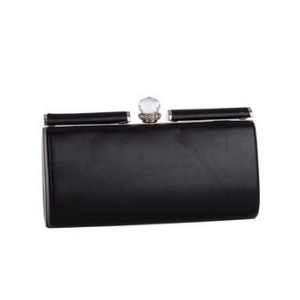 Such a clutch features metallic closure and can be accompanied by a chain strap. 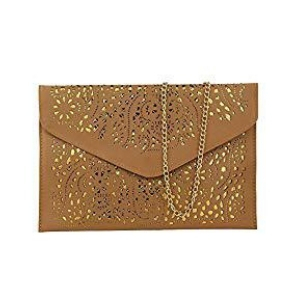 This is a type of a clutch is one that is embellished with sequin or stone details. Such a purse is only carried to grand events. 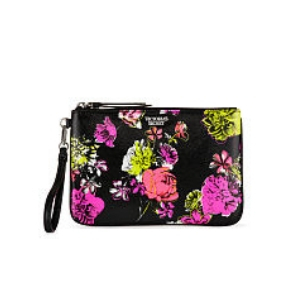 Wristlets have a strap just long enough for it to be able to be carried by hand. 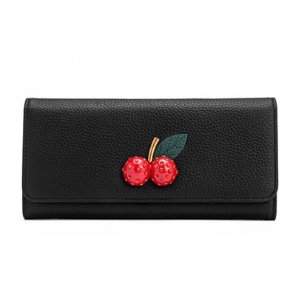 Such a purse is used causally, and has just enough space to house your phone, cash, cards and other small accessories. A wallet can also be referred to as a purse. It features several drawers and card slots. 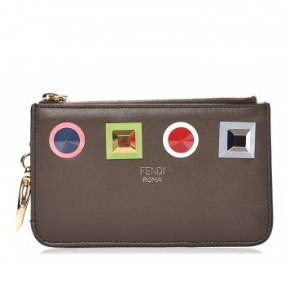 It can be a bifold, trifold or a zip-around wallet. Coin pouches either only have drawers or a zip. They are smaller than wallets with only enough room for cash or cards. In 2015, women spent $11.5 billion on handbags. On average, a woman owns 13 different handbags. This shows that a lady’s love for these arm accessories knows no bounds. Their ever-ballooning craze for handbags is what has kept top-tier brands in business for years. Among the most expensive handbag brands of the world, House of Mouawad, Hermes, Chanel, Louis Vuitton, Fendi, Marc Jacobs and more stand at the top. 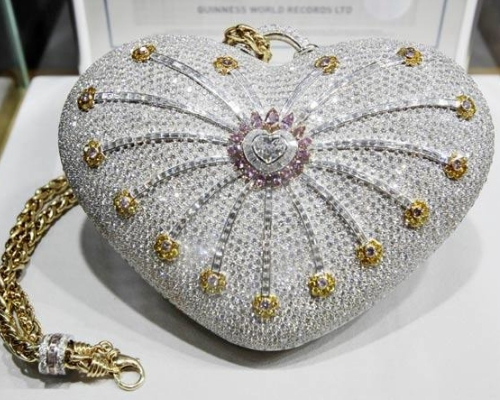 The Mouawad 1001 Nights Diamond Purse is this year’s costliest bag at $3.8 million. 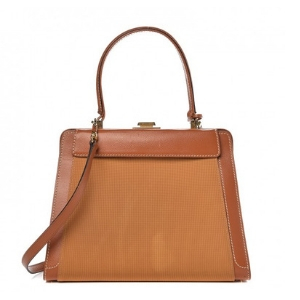 Following it at $2 million is the Hermes Kelly Rose Gold bag. However, very few people are actually able to afford these overly-priced bags. At the end of the day, it all boils down to your preference, requirements, and pocket. 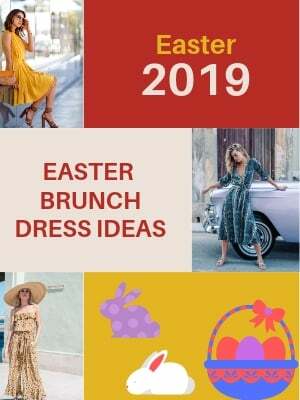 There are several mid-ranged brands such as Guess, Accessorize, Call It Spring and Coach that can give you the designer label at a price that doesn’t kill. Go for bags that offer safe closure, are spacious enough, and can be comfortably carried. So that wraps up our guide on handbags and purses. To sum up, purses and handbags are basically the same thing but overtime, they have been used to describe different types of bags. 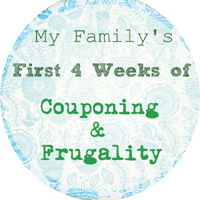 Purses are smaller and not as fancy as handbags which are a huge hit these days. Since there is so much variety available, you can easily find one that matches your liking.